Dee McCaffrey joins the Appropriate Omnivore and gives her definition of processed foods. 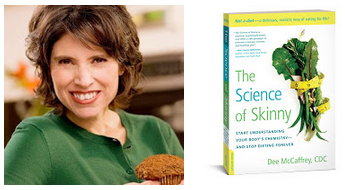 She talks about the dangers of refined sugar and what alternatives can be used in its placed. Dee also explains how she first got interested in living a healthy lifestyle and founded the organization known as Processed Free America, as well lets the listeners know about her upcoming book The Science of Skinny.